Violent video games are harmless, according to a team of German researchers who have carried out an extensive study on the subject. Hang on, aren't violent games the root of all evil? This question has continued to baffle experts, not to mention demented parents, for decades. Some studies say they do incite violence, some say they don't. This new, in-depth study assures us that there is absolutely no link between long-term playing of violent video games and changes in empathetic neural responses. Games companies around the world must be punching the air right now as this study will no doubt reassure parents that games like 'Call of Duty' and 'Counter Strike' won't do any harm to little Johnny. But I'm still not convinced. Can it really be harmless for young kids to sit in front a screen shooting people for hours every day? It's mainly boys we need to worry about. It is estimated 80pc of the audience for the 'Call of Duty' series is male, and 21pc is aged 10-14. The game has an over-18s rating, so at least a fifth of the game's audience shouldn't even be playing it. The new study - conducted by Dr Gregor Szycik and his team at Hannover Medical School - examined the brains of long-term gamers and non-gamers with functional magnetic resonance imaging (fMRI) and concluded that playing violent games doesn't desensitise you. In fact, it can be cognitively beneficial. Previous studies into the subject have shown that people who play violent video games can be desensitised towards violence and show decreased empathy, and increased aggression. Dr Szycik says that the majority of these other studies only investigated the short-term effects of playing violent video games, where participants played the games immediately before or even during the experiment. Instead, his study examined the long-term effects of playing violent games. "The research question arises first from the fact that the popularity and the quality of video games are increasing, and second, we were confronted in our clinical work with more and more patients with problematic and compulsive video game consumption," explains Dr Szycik. The study involves solely male participants. 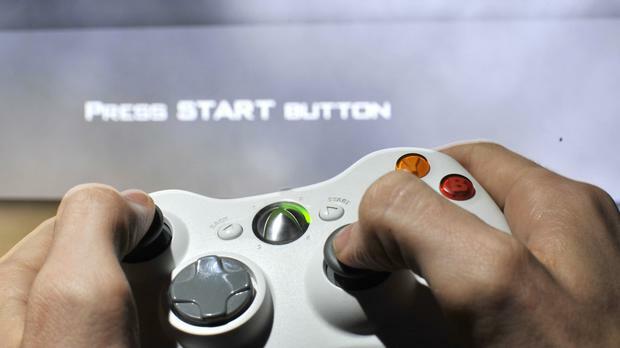 All the gamers had played first-person shooter video games, like 'Call of Duty' or 'Counter Strike', at least two hours daily for the previous four years. The gamers were compared with other males who had no experience with violent video games and did not play games regularly. To evaluate their capacity for empathy and aggression, the participants answered psychological questionnaires. Then, while being scanned in an MRI machine, the participants were shown a series of images designed to provoke an emotional and empathetic response. As the images appeared, they were asked to imagine how they would feel in the depicted situations. The researchers measured the activation of specific brain regions, to compare the neural response of gamers and non-gamers. The psychological questionnaire revealed no differences in measures of aggression and empathy between gamers and non-gamers. This finding was backed up by the MRI data. These reactions of participants suggest that any negative effects of violent video games on perception or behaviour may be short-lived. It's all quite convincing but let's not forget the cases of extreme violence where the perpetrators were all found to have been fans of violent video games. Adam Lanza, the Sandy Hook Elementary School shooter who killed 26 people, was a frequent player of violent first-person shooter video games. Anders Behring Breivik, who shot 68 people dead in Norway, actually used the video game 'Call of Duty' to train for his massacre. Wouldn't the lines between reality and fantasy eventually become blurred after years in darkened rooms playing violent games? Dr Szycik even acknowledged that his study was prompted in part by a rise in patients seeking clinical help for game addiction. So even if he believes that gaming isn't turning young men to violence, it's still causing problems of addiction. And if you're addicted to violent games, then you aren't living a healthy life, which may lead to isolation, anger, depression and even suicidal thoughts. So even if we choose to believe the findings that video games aren't desensitising our children to violence, they are still making them unhappy addicts. Boys, switch off those monitors, grab a football and head outside. Fresh air and spending time with friends will do you a lot more good than shooting characters in a darkened room, no matter what any expert tells you.